Washington And Ankara Reached Initial Agreement On Syria’s Safe-Zone – Report 0 out of 5 based on 0 ratings. 0 user reviews. Washington and Ankara have reached an initial agreement to establish a safe-zone along the Turkish-Syrian border east of the Euphrates River, Asharq al-Awsat reported on February 3. According to the London-based newspaper, more than 7,000 Kurdish fighters of the US-backed Syrian Democratic Forces (SDF) will withdraw from the safe zone, which will have a reduce of more than 30km. SDF fighters will be replaced with about 2,000 troops of the Syrian Kurdish Peshmerga, which is backed by the Iraqi Kurdistan Region. Arab fighters loyal to Washington and Ankara will be also deployed in the Arab areas within the safe-zone. Prominent Syrian opposition leader Naser al-Hariri visited Kurdistan two days ago and met with local leader Masoud Barzani. The two leaders agreed to facilitate the US-Turkish agreement by providing the necessary Kurdish and Arabic troops for the safe-zone. Despite the high-level of understanding between all sides, the agreement is yet to be finalized. The U.S. reportedly wants “observers” from its allies in the West to remain in the safe-zone. However, Washington’s allies has not accepted the offer so far. This claim is inline with a recent report of the Wall Street Journal. Al-Sharq al-Awsat said that Moscow and Damascus are trying to sabotage the safe-zone agreement by offering their own replacement, which is the implementation of the 1998 Adana agreement. Turkey is yet to accept this offer. The available information shows that the SDF is excluded or has a minimal role in both the Russian and US offers to Turkey. This means that the Kurdish-dominated group may lose most of its influence, if not all of it, this year. Considering that the Kurdish heartlands are in that security zone I’ll doubt that they will agree to this willingly. They have to leave heir heartlands undefended at the mercy of the Turks with only the Kurdish Peshmerga, with whom the YPG does not enjoy the best of relations to stick their necks out for them? Oh, the irony, the delicious irony of the Syrian Kurds selling their souls to the US as its footsoldiers and now reaping the benefits. I don’t think that this is what they had in mind. Dude, get over it, Russia is weak vassal of US and was hardly going to stand up to its US and Zionist masters. This is all part of the plan to carve up Syria.It will be interesting to see if Iran stays in Syria too. And the kurds are happy to be fucked!!!!! Too bad ,too sad traitorous Kurds. The stupid Kurds have been played and fooled by the US once again, they should have focused on an agreement with Russia and the Syrian government…..now they get nothing. Russia is weak, cowardly and simply can not stand up to Americunts and Turkeys, not to mention its Zionist masters. How many times so I have tell sheeple that Syria is finished as a unified state. Putin sold them out. If Syria is not a “Islamic Emirate”………..is thanks to russian intervention!!!! Do shut up, you bore me senseless. Yes, we all realise that the US quickly renege’s on a deal and that Erdogan is as reliable as a a pimp without a prostitute. Net gain. Turkey wins. It gets 30 km wide strip all along border in Syria! All the towns etc. How easy Turkey gets everything .Afrin,Idlib now this! Not a bullet fired. Wily ,bloodthirsty Turk! War has always been an event of flux as the fortunes of war ebb and flow. Only recently , the US discovered that the ‘peace’ in Iraq after their victory , cost the US more lives that the war itself. You are thin skinned little sensitive sissy boy :) BTW, it is hard to “shut-up” on a written forum. What is your IQ kiddo? The TRUTH is hard to accept eh. The pimp Putin has sold out Syria to his Americunt partners. Russia is a global weak whore anyway. dont insult the morons, please. And yet, despite your claims Russia is the only power in the world that actually stood up against the empire. Always the idiots and spoilers… Kurds! As I said months ago, the Russian cowardly arseholes have sold Syria down the tubes. Syria will lose its best agricultural lands to the Turkeys forever and end up Balkanized. The retarded Zionist stooge Putin was again kissing his Americunt masters arse on TV calling them “partners”. How old are you? 200? 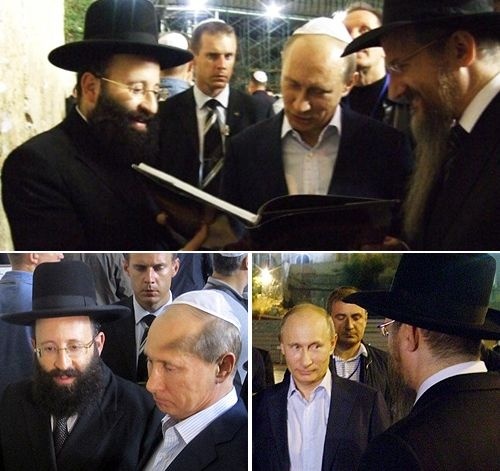 Putin is the prime defender of Jews, his people. 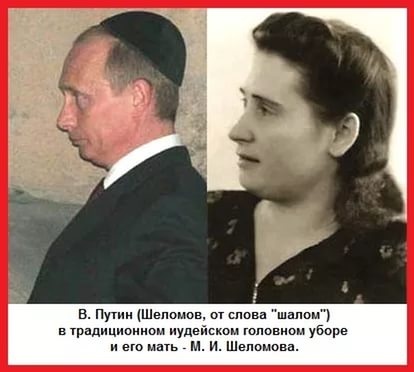 His mother was a Jew and he is a JEW and it is openly acknowledged in Russia. The kurds in Syria have a chance……….Join the Syrian state with russian support…….. The USA fucked them……….wake up before is to late!!!! Idiote Americans, how stupid can you be. No wonder inteligent countries quit the US influence. Why should one ever back the US if you know they will betray you eventual. LOL, and Russian dont betray Iranian in Syria??! They do NOT, is the answer to your question. Russian assistance to Syria has prevented the US proxy terrorists from occupying Damascus and by extension a US led invasion of Iran , soon after 2015. Without Iranian supplies to Hezbollah, the Israelis with the US and her pet terrorists would have taken over Lebanon as well. At least as far as the Litani River, that was their goal in 2006. Water is as valuable as oil in the Middle East and Israel wants it all. Which is why America will never leave the Euphrates area. There is always an end to everything. No they don’t, the American do it all the time: remember Vietnam, how many Are sacrificed there? And Korea, there own people etc… and now the Kurds for what ? Erdo Turks? I thought Syria was sovereign nation, with their own Government. December 19th was a month and a half ago. There’s been no withdrawal, only talk. If the Israeli attacks continue to be suppressed. Which in my opinion is a prerequisite for any US withdrawal to proceed. And the US continues to drag it’s feet. Then pressure needs to be increased to get the US out. 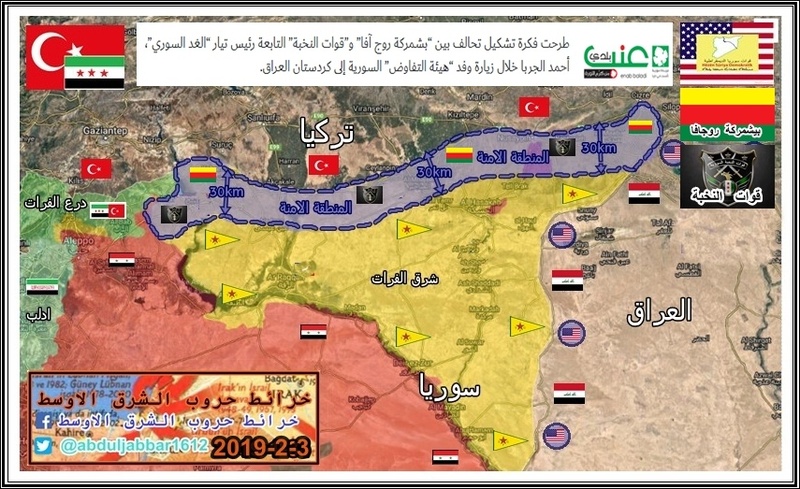 It looks like Turkey is capable of getting the SDF to capitulate to Syrian government coalition advances by it’s threats to expand it’s deployment into SDF held areas. What this article is talking about is an expansion of Turkish backed anti government terrorists into the 30km buffer zone in conjunction with Syrian Kurdish Peshmerga. This is a new one on me. What is the Syrian Kurdish Peshmerga, are these Iraqi Kurds deployed to Syria? That’s what it sounds like. If this is the case. What it translates into is getting the Turks to support partition and block Syrian government clearing and recovery operations. If the Israeli attacks can continue to be suppressed. It might be possible to get the US withdrawal back on track. And keep the Turks from participating in the partition project. And serve as a motivating factor for the SDF to relinquish control to the Syrian government without hostilities. Exactly ,net gain for Erdogan. A landgrab as was Idlib and Afrin all with Russian help. Syria was partitioned with Russian help. The recent US coalition attack in Dier Ezzor looks like a test to see what they can get away with. The response should probably be doubling or tripling the SADF S-300/400 deployment so that it blankets Syria completely, including east of the river. And expanding the no fly zone east of the river. Upgrading the Syrian air force would also be helpful. Do you understand now who is Turkey boss ? or do you need something even more transparent ? Just always remember that Turkey is a NATO selected member , that is more than enough evidences. A newcomer to the safe-area forces offered by the US-backed El-Jarba / Peshmerga forces and the pro-Barzani Syrian Peshmerga https://uploads.disquscdn.com/images/1fb20dbcdbbcd731f36283d38c6c746261b2c556ca7fd773e03b2a480b7b24ff.jpg is being discussed in Erbil and appears to be the latest viable solution because of Barzani’s proximity to Turkey and his hostility to the Labor Party. peshmerga Guys have always been Turkey’s pet Kurds AND enemies of YPG Kurds. Just a while ago the Iraqi PUK Peshmerga, numbering about 30,000 fighters offered to help the YPG Kurds in Syria defend their homeland against a Turkish invasion [with Iraqi government approval], now we have the Iraqi KDP Peshmerga, about 30,000 fighters as well, offering to act as a buffer between the YPG and Turkey, but they don’t say if the Iraqi government has also given approval for the KDP proposal. In other word half the Iraqi Kurds [KDP] want to help the Turks, and actually coordinate with them to help stop any fighting erupting between the YPG and the Turkish forces, but then the other half [PUK], want to go to Syria and help their Kurdish YPG brothers defend their homelands from the Turks, not what I’d call totally incompatible intentions, but very close to it. At first I thought this was just more political spin, the Iraqis would never give the KDP permission to cooperate with Erdogan, it would be much more likely they’d forbid the KDP Peshmerga from getting involved, and instead let the PUK Peshmerga help the Syrian YPG repel the Turks. But now I’m not so sure, the Turks are dangling a 5 billion loan [God knows how since their selling government bonds to stave off their own financial collapse], to help out with Iraqi infrastructure reconstruction cost [oil + gas ventures probably], so they do have something worthwhile to offer the Iraqis, and it would be quite a temptation. The Kurdish National Council [KNC] is probably working overtime to make this happen, it would suit their purposes perfectly, they’ve lost a lot of Kurdish support since the Turkish invasions of Syria, if they could pull this off it would regain them a lot of support from the rest of the Syrian Kurds who don’t all support the YPG, especially if it meant no Turkish invasion and no more losses of Kurdish homeland. The Kurds are about the most mixed up bunch I’ve ever seen, their loyalties and alliances are so conflictory they can only ever make sense to the Kurds themselves. Some Syrian Kurds actually like Assad and want to remain under Syrian sovereignty. Some Syrian Kurds want their own sovereignty. Most Syrian Kurds want limited self autonomy, some want full. Some Syrian Kurds want to cooperate with Turkey, most don’t. The YPG is probably now the most anti-Turkish Kurdish political group of all [apart from the Turkish based Kurdish PKK], but they weren’t always, they actually started off cooperating with Erdogan at the beginning of the Syrian uprising, and even had his political support, and as hard as it is to believe, some of them were initially trained in Turkey by the Turks themselves, in just the same way other rebel groups that make up the the FSA/NFL were. As I said it’s a confusing mess when it come to Kurdish politics, when you try and take Kurdish regional interests into account, it just gets worse and even more confusing. I always complain there’s not enough accurate info published about all the different Kurdish political factions and how their allegiances affect regional politics, but I think I know why there isn’t, it’s too damn hard to keep track of, they change their loyalties all the time. If you think I mean the Kurds are just flimsy and can’t make up their minds about anything because of their own inabilities, you’d be wrong, the truth is they’ve never been allowed to achieve any sort of political stability since the Ottoman Empire took over, and it’s not just the Iranians/Syrians/Iraqis/Turks who are keeping them divided, outside interest also continuously mess thing up as well. Just a few hundred years ago the Kurds all lived in Kurdistan, then the Ottomans took over for a couple of hundred years, and then the Brits took over the Ottomans and divided Kurdistan, some they gave to Syria, some they gave to Iraq, some they gave back to Iran [Persia] because they owned it before the Ottomans did, and some they left with the Turks, is it any wonder they’re so divided now. As much as I hate to admit it this could be a proposal that saves a lot of trouble and bloodshed, it all hinges on whether or not Erdogan abides by what’s being proposed, I’m sure he has no problems at all with the KDP Peshmerga or the SNC, they cooperate all the time, but I think the Syrian oil and farmlands will prove to be too big a temptation, and the YPG are just the excuse he needs to break this proposed arrangement, even if it is accepted and implemented by all parties. Does Ankara not understand that Washington never sticks to any deal or agreement? The moment they will benefit from breking the deal, they will break it.